A realization of recent clean energy initiatives, fluidized bed combustion (FBC) has quickly won industry preference due to its ability to burn materials as diverse as low-grade coals, biomass, and industrial and municipal waste. 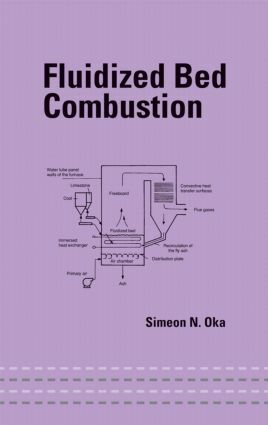 Fluidized Bed Combustion catalogs the fundamental physical and chemical processes required of bubbling fluidized beds before launching into application-centered coverage of hot-gas generator, incinerator, and boiler concepts and design, calculations for regime parameters and dimensions, and all aspects of FBC operation. It enumerates the environmental consequences of fluidized bed processes and proposes measures to reduce the formation of harmful emissions. "…contains a sufficient amount of valuable material to be recommended for reading. …contains a wealth of references that in itself is sufficiently interesting to motivate the purchase of the book."